Everyone has their food preferences and there are countless diets out there encouraging different food choices. But water is the one thing we all consume every single day. But could drinking a lot of water actually help you lose weight? Several studies have found that among people who are following a weight-loss plan, those who drank the most water lost the most weight. An overall increase in consumption isn’t the only way water has been linked to weight loss. Research suggests that drinking water before meals can expedite weight loss. In two studies, researchers found that overweight people who drank 500ml (around 17 ounces) of water a half hour before every meal lost more weight than those who didn’t consume pre-meal water. It’s highly unlikely that water itself has weight loss properties. But it definitely has the ability to help you feel full. It’s surprisingly common to mistake thirst for hunger, so sipping on water throughout the day can eliminate so-called hunger pangs, which is probably going to result in less food consumption. And reducing your food intake is what’s going to keep the number on the scale moving down! Unlike so many other beverages, water is also calorie-free. Even “healthy” drinks like 100 percent fruit juice, naturally sweetened iced tea, and vegetable-boosted smoothies add calories to your daily intake. Every time you reach for water instead of another beverage, you’re saving yourself from excess calories. And as we all know, excess calories generally lead to excess weight. 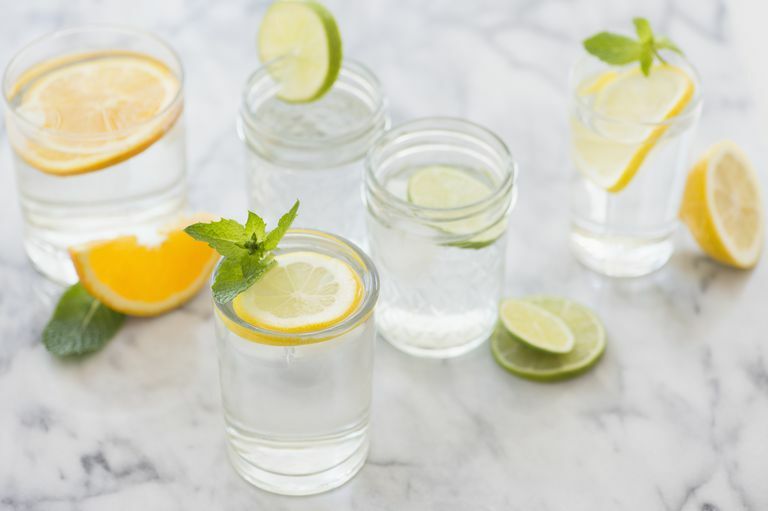 It's not a magical weight loss elixir, but by incorporating water into a weight-loss-centric food plan and exercise routine, you’re definitely upping your chances of weight loss success! Sparkling Water: The fizziness of carbonated water makes it more interesting. Make your own using a SodaStream or buy cans at the store. Just make sure you don’t get anything with added sugar. Spike It With Citrus: A lemon wedge isn’t your only option. Try a squeeze of lime, a slice of grapefruit, or an orange wedge. Switch Up the Temperature: Water doesn’t have to be served ice cold. In fact, some people find it harder to drink that way. Pour yourself some room-temp or hot water for a change of pace. Flavor Infusions: Fill a pitcher with water and experiment by adding different fruits, herbs, or even veggies. Try strawberries, mint, and cucumber or go for a mix of sliced apples and peaches. Refrigerate the pitcher overnight, and in the morning, you’ll have lightly flavored water that can be enjoyed all day long. Fun Tip: Get a cute water bottle and bring it with you everywhere. This will help ensure you drink more water. Can Psyllium Help You Lose Weight?